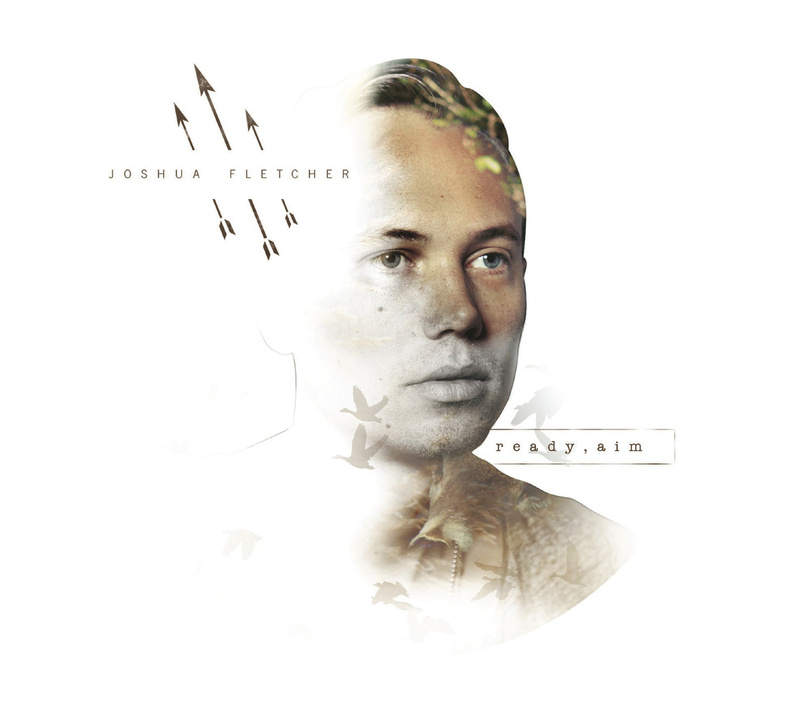 Joshua Fletcher is a pure singer songwriter, listening to the tracks on “Ready, Aim” you can clearly tell that they were carefully created quietly with an acoustic guitar. The songs here are given a bigger sound thanks to clean sounding studio backing tracks. This gives the songs enough bounce and variance to maintain the listeners attention. The songs here deal with love and the good and bad surrounding it. “The Eye and the Storm” is a prime example where we find Fletcher plucking his acoustic strings along to the soundtrack of some memories. Most songs here are best found alongside a glass of wine and some candlelight most likely as they remain sweet and gentle mostly. The harmonica aided “We Are All Alone” has a driving stomp that bucks the tempo with by far the biggest sounding drums on the album. “Oh Midnight” is among the fastest tempo songs here as well with its pulse being a quick, thin sounding drum beat that drives the song. On the song Fletcher bellows like early Ryan Adams as he doesn’t try to hide the obvious comparisons he is sure to get. The album is slower for most of the tracklist and the better songs seem to have a faster tempo. Fletcher writes solid lyrics and knows how to write a song too, if you are in the mood for something not too abrasive this just might be it. This entry was posted in 250 word album reviews and tagged 2.5 stars, 250 word album review, Aim, Joshua Fletcher, Oh Midnight, Ready, Ready Aim, Ryan Adams, singer, songwriter. Bookmark the permalink.